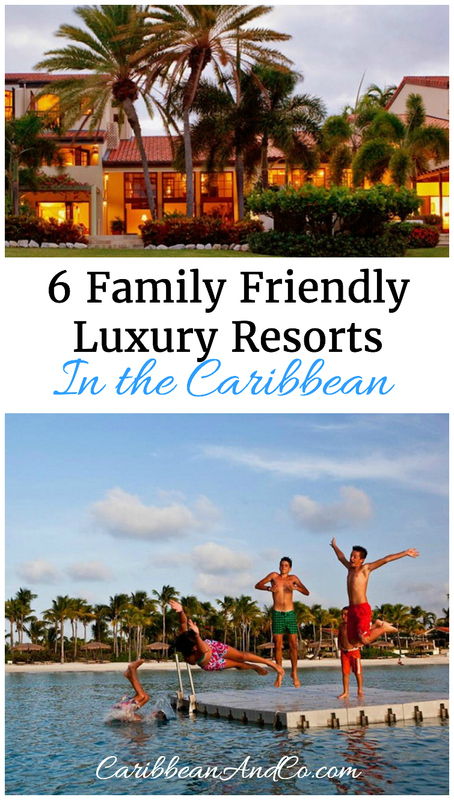 6 Family Friendly Luxury Resorts in the Caribbean - Caribbean & Co. Traveling to the Caribbean with children and looking for a family-friendly luxury resort? Below we list six Caribbean luxury hotels in gorgeous locations with great amenities, excellent service, and special children’s programs – everything you can think to create wonderful memories during your next Caribbean holiday. Four Seasons Resort and Residences Anguilla is a beautiful resort set on one of the most amazing beaches in the world. Add to that a spectacular infinity pool set on a bluff overlooking the sea, in- residence meal preparation, suites with marble bathrooms, and personal dipping pools…and these are just a few of the amenities awaiting families at this luxury resort. Plus there is a children and teen programs where on the beach, in the water and around the resort, young guests can make new friends, learn new skills, and hang out under the watchful eye of staff counselors, all while actively interacting with nature’s own elements. Jumby Bay, A Rosewood Resort in St. John’s, Antigua is full of the finer things of life. From the private car picking you up at the airport to the lunch under a parasol with sparkling linens and champagne and the fresh catch of the day to Italian linens and cotton robes, your family will enjoy luxury at its finest here in Antigua. They’ve also got a program titled Rose Buds For Children which is designed to provide the resorts’ youngest guests with special services, amenities and convenience items – from kids’ menus to fun activities including spa and outdoor beach and water sports. Four Seasons Resort in Nevis is ideal for families. Luxury suites with teakwood furnishings on the two balconies are perfect for entertaining. Dive for your own lobsters and then have them prepared just the way you like for dinner. Or enjoy elegant dining at the Coral Grill or one of the other amazing restaurants at the resort. Here too they’ve got a number of children’s amenities plus babysitting services. No list of top luxury resorts would be complete without mentioning Negril, Jamaica. Gorgeous beaches blend to mountains on one side and the Caribbean on the other. Beaches Negril Resort offers guest custom-crafted furnishings, well-stocked refrigerators with juices, water and sodas, and mahogany beds. Located on Seven Mile Beach and with Pirates Island water park on the premises, there is no lack of activities for water-lovers of all ages. While the children are enjoying the water park, adults can slip away to Red Lane Spa for a Raindrop Dreams treatment, which includes essential oils and a full-body and foot massage. You can also consider other Beaches Resorts in Turks & Caicos. Barbados holds an elegant charm all its own in the form of Tamarind By Elegant Hotels. Located on the west coast of Barbados, this resort is perfect for families. Family-size day beds are conveniently located by the pool – perfect for tired little ones to rest while teens play. Trained nannies are available if parents want some ‘quiet time’ with their loved one. Use the time to enjoy a ‘Bajan Chill Out’ at the spa. A combination of body scrub, massage, and mani-pedi, this 2 ½ hours ultimate relaxer will have you feeling refreshed and rested. Ciqala Luxury Suites located in Puerto Rico is a must on a Caribbean-lover’s bucket list. Granite bathrooms with Jacuzzi’s, two suites per floor, and in-suite meals prepared by a chef are just some of the special touches that Ciqala offers guests. Combine that with the culture and great shopping of San Juan and you have a holiday worthy of great memories for the family. Find more family-friendly luxury hotels and resorts in the Caribbean, by visiting our hotel pricing comparison website powered by HotelsCombined.com.